Background: The Nazis liked uniforms. Every part of the party had its own uniform, complete with accompanying regalia. I’ve even come across internal party records in which a subsection of the party argued for its own distinctive uniform, since it was hard to get the proper respect without one. 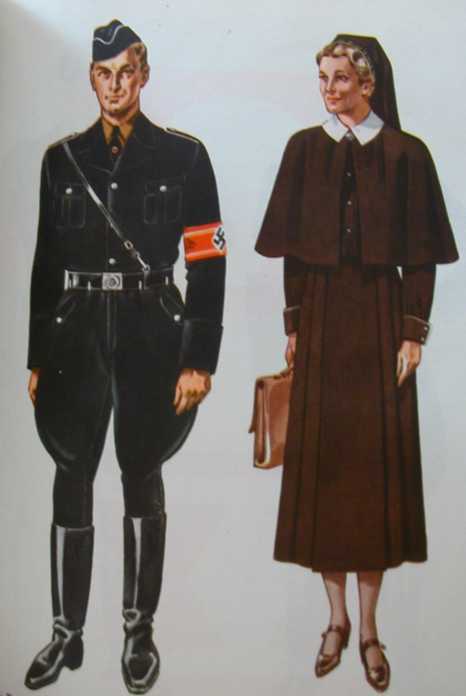 Uniforms demonstrated status, but also power — and the display of power was a major element in Nazi propaganda. 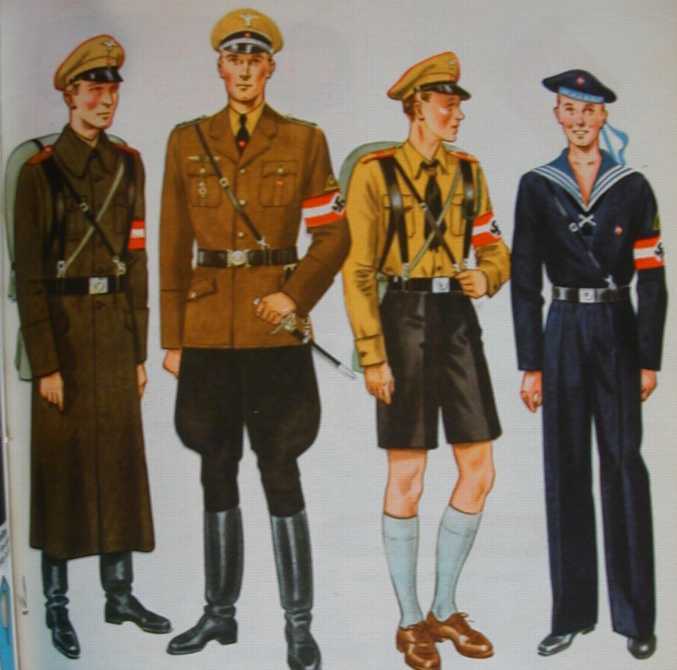 This page includes illustrations from the 1937 edition of the party handbook that display uniforms for a variety of groups. The book also includes numerous illustrations of rank insignia, dagger designs, flags, banners, etc., some of which are available on a regalia page on this site. The source: Organisationsbuch der NSDAP, 3. Auflage (Munich: Franz Eher, 1937). The uniform to the left is that of an Ortsgruppenleiter, or local group leader, of the party. Note the Ehrenwaffe, or pistol. He also has a rucksack for outdoor activities. 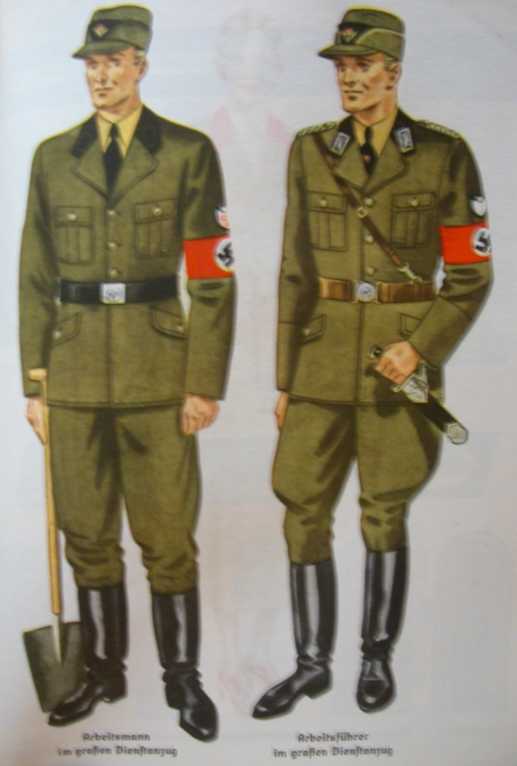 The uniform to the right is that of a Hauptstellenleiter of the local group or a Stutzpunkt. This would be a subordinate of the local group leader, someone in charge of a party office. He is wearing a coat over his uniform. The uniform to the left is of a Stellenleiter, or office head, at a Gau office. It is an Ausgeheanzug, or dress uniform. The dress uniform to the right is of an Amstsleiter in a Gau office. The uniform to the left is for a member of the Nazi organization for university students. The uniform to the right is for a member of the Nazi organization for nurses. 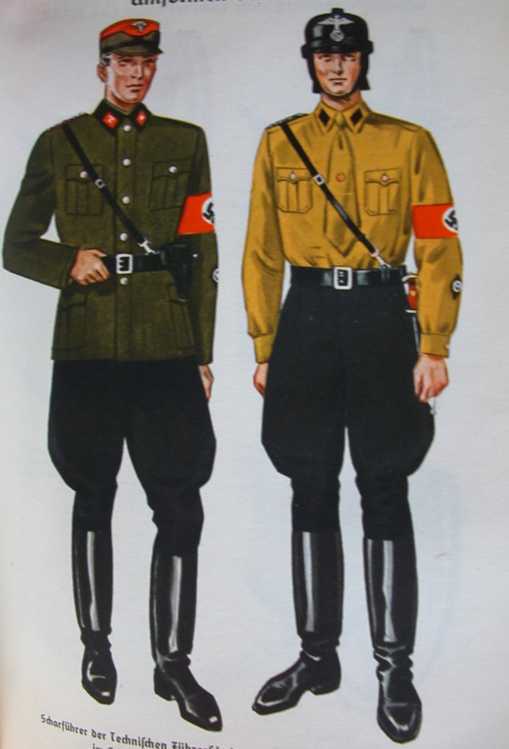 The uniform to the left is an SS parade uniform (SS.-Verfüg.-Truppe). 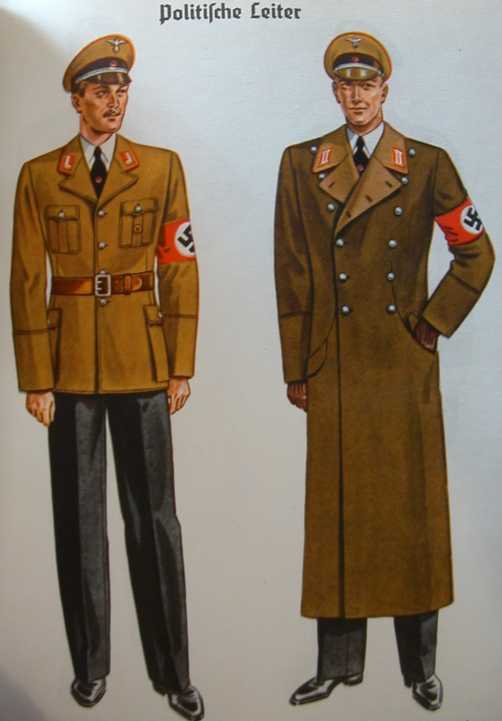 The uniform to the right, and the coat, are those of an SS Oberführer. The illustration to the left is of a member of the Reichsarbeitsdienst, the labor corps. The illustration to the left is for a leader of the Reichsarbeitsdienst. 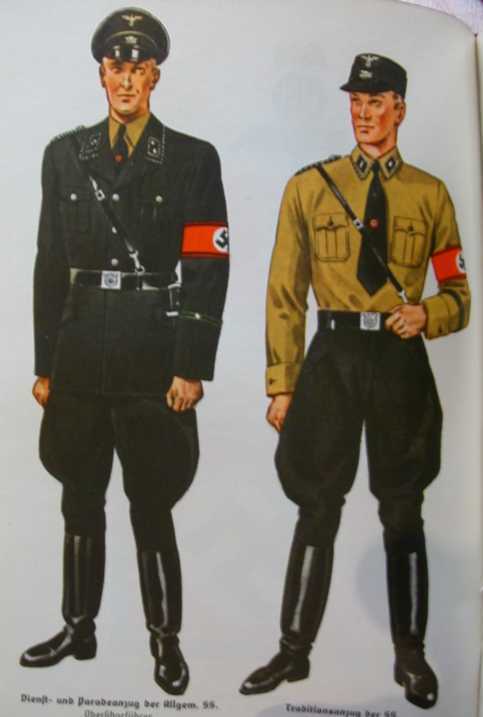 The uniform to the left is for Allgemeine SS. 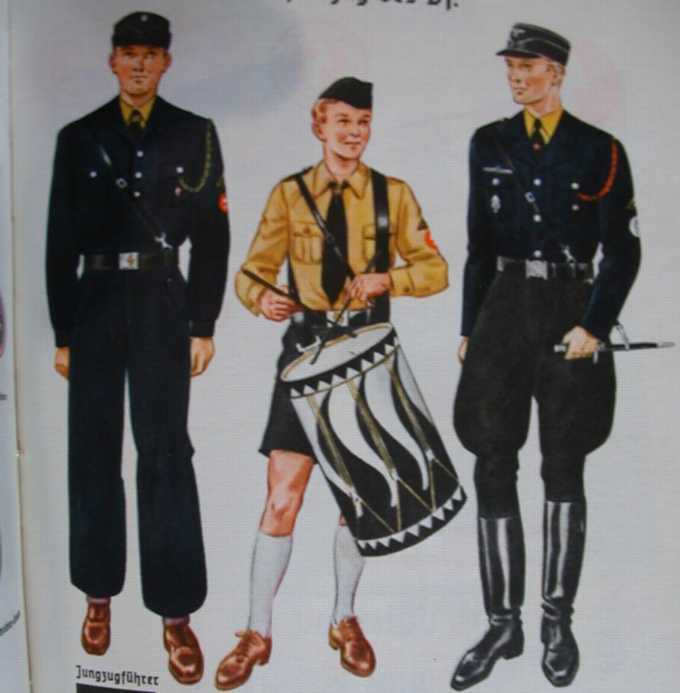 The uniform to the right is the traditional uniform (Traditionsanzug) for the SS. These are all Bund deutscher Mädel (League of German Girls) uniforms.The first is the normal uniform. The second is the coat. 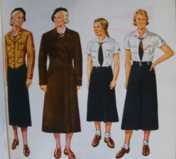 The third is the summer uniform for the Jungmädel, the group for girls 10-14 years old. The final one is the summer uniform for a leader of that group. 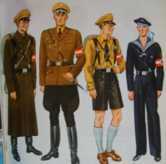 The first uniform is the winter outfit for a member of the Hitler Youth. The second is the uniform for a HJ Bannführer, or regional leader. The third is the summer uniform for a lower-level HJ leader. The final one is the naval HJ uniform. The first is the winter uniform for a local leader of the Jungvolk, the group for boys 10-14 years old. The second is the uniform for the drummer of a Jungvolk unit. 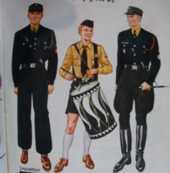 The third is the uniform of a Jungbannführer of the Jungvolk. The NSKK was the Nazi party's motorized section. The first uniform is for a student at a technical school (Scharführer der Technischen Führerschule im Schulanzug). The second is the uniform of an ordinary member, complete with crash helmet. 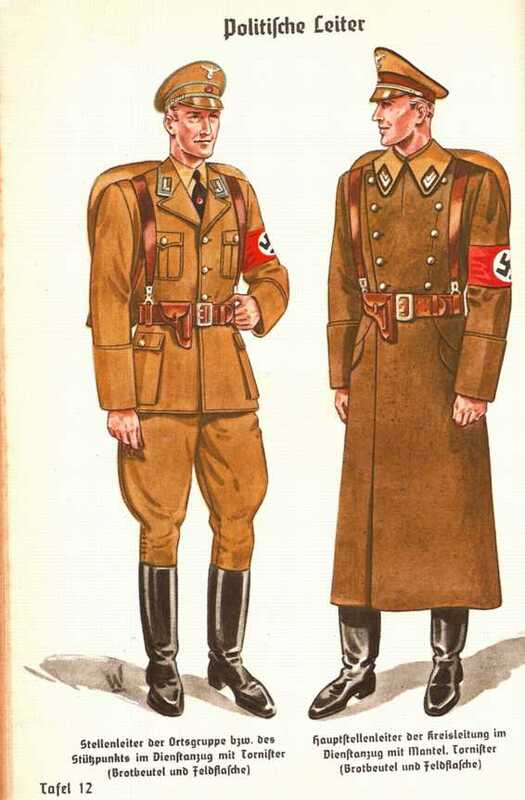 The uniform to the left is the regular uniform for the SS.-Verfüg-Truppe. 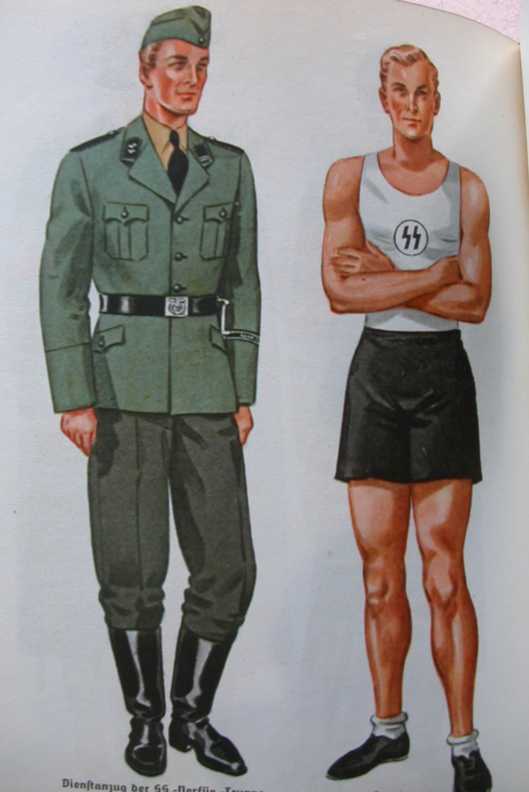 The one to the right is the SS sport outfit.